Aksyon TV (English: Action TV) was a Philippine commercial broadcast television network, and currently an international pay television channel. It was a joint venture of Nation Broadcasting Corporation and TV5 Network, Inc. (international operations is under its subsidiary Pilipinas Global Network Ltd.), both under PLDT media arm MediaQuest Holdings. Its programs were primarily produced by TV5's divisions News5 and ESPN5. AksyonTV formerly broadcasts terrestrially through DWNB-TV (UHF channel 41) in Metro Manila, as well as on UHF channel 29 in Cebu, Davao and other relay stations, and on a digital subchannel via channel 5.2 in Metro Manila. It occupies the frequency previously used by MTV Philippines (now MTVph), a subsidiary of MTV Networks Asia Pacific until 2006. Commercial broadcasting is the broadcasting of television programs and radio programming by privately owned corporate media, as opposed to state sponsorship. It was the United States′ first model of radio during the 1920s, in contrast with the public television model in Europe during the 1930s, 1940s and 1950s which prevailed worldwide until the 1980s. Named after 5's newscast, Aksyon , it started broadcasting on February 21, 2011 as an all-news channel, with simulcasts from Radyo5 and independently-produced newscasts from News5. It has also carried-over sports coverages due to shutdown of sports primetime block AKTV in May 2013 due to high airtime costs and low ratings caused by IBC's impending privatization. Its main broadcast facilities are located at TV5 Media Center, Reliance cor. Sheridan Sts., Mandaluyong City. It was the first and only 24-hour news channel on free-to-air TV and the first 24-hour Filipino language news channel until December 1, 2013. It formerly operates daily from 5:00 AM to 12:00 MN. The 5 Network or simply as 5, is a Filipino commercial broadcast television network based in Mandaluyong City. It is the flagship property of TV5 Network, which is owned by MediaQuest Holdings, the multimedia arm of Philippine-based telecommunications company PLDT. 5 is also formally referred to as "The Kapatid Network", a Filipino term for "sibling", which was introduced in 2010. Aksyon is the flagship national network news program broadcast by 5 in the Philippines. It consists of two editions: its main primetime edition, also known as Aksyon Prime, broadcasts from 6:15 to 7:00 pm, PST, and is anchored by News5 head Luchi Cruz-Valdes and chief correspondent Ed Lingao, and its noontime public service and news edition, Aksyon sa Tanghali airs from 12:30 to 1:30 pm, PST, and is anchored by Raffy Tulfo. DWFM – branded Radyo5 92.3 News FM – is a news/talk radio station serving the Mega Manila market. The station is owned by the Nation Broadcasting Corporation, a subsidiary of PLDT Beneficial Trust Fund's broadcasting division MediaQuest Holdings. The station's all-news format is co-branded and produced with News5, the news department of its sister company TV5 Network, Inc.— which MediaQuest Holdings acquired a majority stake of from Media Prima and the Cojuangcos in 2010. The station's studio is located in TV5 Media Center, Reliance cor. Sheridan Sts., Brgy. Buayang Bato, Mandaluyong City, while its transmitter is located on Block 3, Emerald Hills, Sumulong Highway, Antipolo City. DWFM operates daily Mondays to Fridays from 3:30 AM to 12:00 MN and Saturdays to Sundays from 4:00 AM to 12:00 MN. The program line-up of AksyonTV also includes news analysis, documentaries and talk shows, as well as entertainment and other news and sports-related programs. On November 30, 2018, TV5 Network announced that AksyonTV will relaunched into 5 Plus from January 13, 2019, with its programs consisting mostly of sports. AksyonTV silently ended its broadcast on January 12, 2019, with ESPN5's Heavy Hitters as its last program to air on the network. TV5 Network, Inc., formerly known as ABC Development Corporation and Associated Broadcasting Company, is a Filipino media company based in Mandaluyong City. It is owned by MediaQuest Holdings, an investee company of Philippine telecommunications giant PLDT, through its Benecicial Trust Fund, and headed by business tycoon Manuel V. Pangilinan. 5 Plus is a commercial broadcast television network in the Philippines. It is a joint venture of Nation Broadcasting Corporation (NBC) and TV5 Network, Inc., both under PLDT media arm MediaQuest Holdings. 5 Plus is currently carried through analog UHF channel 41 in Metro Manila, as well as in Cebu and Davao via UHF channel 29, and other relay stations; as well as on DWET-TV's digital subchannel channel 5.2 in Metro Manila. It operates daily from 5:00 AM to 12:00 MN. ESPN5 is the sports division of TV5, currently with a partnership agreement with US-based sports network ESPN. ESPN5 supplies and airs major sporting events in the Philippines and the world for free-to-air TV channels 5, 5 Plus and Cignal-exclusive channels One Sports and PBA Rush. Originally, local UHF channel 41 was intended to broadcast local programming under the supervision of Nation Broadcasting Corporation. Sometime in 2000, MTV Networks Asia Pacific, operator of MTV (Music Television) brand in Asia wanted to transmit its music channel on terrestrial television in the Philippines. Eventually, MTV Networks Asia Pacific entered into an agreement with Nation Broadcasting Corporation to transmit its localize music channel via its UHF channel and started broadcasting MTV Philippines on January 1, 2001 until the partnership ended on February 15, 2007. Nation Broadcasting Corporation (NBC) is a radio and TV network that has been operating in the Philippines since 1963. As of December 2013, NBC is a subsidiary of MediaQuest Holdings, Inc. under the PLDT Beneficial Trust Fund. NBC operates television and radio stations with airtime being leased by affiliate 5 and is located in the TV5 Media Center, Reliance cor. Sheridan Sts., Mandaluyong City. In March 2010 MediaQuest Holdings, a PLDT subsidiary, the Philippines' largest telecommunication company, announced the acquisition of ABC Development Corporation, broadcaster of TV5 from the Cojuangco family and Malaysia-based broadcaster Media Prima Berhad. MediaQuest Holdings, Inc. is a Philippine-based media conglomerate that provides radio and television broadcasting, as well as direct-to-home satellite services and print media. It is an investee company of the PLDT Beneficial Trust Fund, a retirement fund owned, and intended, for the employees of the telecommunications company. It owns most of the media establishments such as TV5 Network (TV5), Nation Broadcasting Corporation (NBC), Cignal, 51% interest in The Philippine Star, 70% interest in Business World Publishing Corporation (BusinessWorld), 30% in Unitel Group and 80% minority interest in AKTV. PLDT Inc.,, formerly known as the Philippine Long Distance Telephone Company, is the largest telecommunications and digital services company in the Philippines and the most known internet service provider. The latest consolidated service revenues reported for the first three quarters of 2016 is at ₱125.4 billion, and net income at ₱15.9 billion. Media Prima Berhad listed on the Main Board of Bursa Malaysia, Media Prima Berhad is Malaysia’s leading fully integrated media company with a complete repertoire of media-related businesses in Television, Print, Radio, Out-of-Home Advertising, as well as Content and Digital Media. In October 2010, through its flagship station, it took over the management of Nation Broadcasting Corporation and its radio and television businesses, particularly 92.3 News FM and UHF channel 41. Consequently, UHF channel 41 went on air and began its initial test broadcast of its radio station 92.3 News FM from 12:00 noon to 8:00 p.m. (Philippine Standard Time, UTC+8). DWNB-TV, channel 41, is the flagship television property of Nation Broadcasting Corporation and is the flagship station of the Philippine television network 5 Plus. The station is operated and co-owned by TV5 Network, Inc. Its main broadcast facilities are located at the TV5 Media Center, Reliance cor. Sheridan Sts., Mandaluyong City, while the station's alternate studios and analog transmitter are located at TV5 Complex, 762 Quirino Highway, Brgy. San Bartolome, Novaliches, Quezon City, and digital transmitter is located on Block 3, Emerald Hills, Sumulong Highway, Antipolo City, province of Rizal. 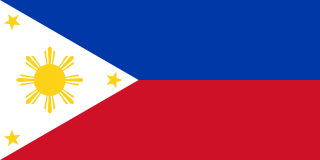 Philippine Standard Time, also known as Philippine Time (PHT), is the official name for the time in the Philippines. The country only uses one time zone (UTC+08:00), and for a short period, it also used daylight saving time. In December 2010, ABC Development Corporation announced plans to launch its own news and sport-related channel. On February 21, 2011, AksyonTV started its commercial broadcast. In June 2013, several sports programs from IBC 13's defunct blocktimer AKTV were carried over to AksyonTV. This was done by the TV5 Network, Inc. management after the deal expired in May 2013. News and public affairs programs were either moved to a new timeslot or canceled. Since December 2013, AksyonTV removed its 24-hour broadcasting activities due to cost-cutting measures by the management as well as NTC's rules and regulations for affiliated free-to-air TV stations. Since the 2014 Sochi Winter Olympics, AksyonTV is one of the official Olympics broadcasters in the Philippines, together with TV5 and Cignal. Since July 21, 2014, AksyonTV ceased producing any independent newscasts including news advisories (e.g. Aksyon Breaking, Aksyon Weather). This was done after TV5 unified all of its newscasts under the Aksyon brand. Since October 2015, AksyonTV dropped its simulcast of the PBA games after the move of the Filsports Basketball Association from PTV as part of PTV-4 reorganization and the taped airing of the PCBL (Pilipinas Commercial Basketball League) and other PSL (Philippine Super Liga) games on the same network every weeknights and weekends. In 2016, AksyonTV further improved its sports programming, starting the year with the return of the PBA D-League on Sports5 and being the second home of the UFC (including The Ultimate Fighter ) and the PGA tour after its parent network TV5 and satellite channel Hyper. By December 19, 2016, AksyonTV moved from Cignal Channel 1 to Channel 6. On November 30, 2018, it was announced that on January 13, 2019, the reformat is finally completed when the network relaunched as 5 Plus. The network's programming is primarily sports, with additional coverage from ESPN5, along with sports-related content which will target millennials. 5 Plus also competes with rival ABS-CBN S+A, which carries the same format. Selected Radyo5 simulcast programs later moved to a new stand-alone satellite channel, at the satellite service, Cignal. Public service program Buhay OFW and home shopping block EZ Shop are the only non-sports programs from AksyonTV to be carried to 5 Plus. AksyonTV was presented in English and Filipino languages. Programming was distributed equally between newscasts, sports (since June 2013 after the expiration of Mediaquest-IBC 13 blocktime agreement), live coverage of important news events, and talk shows. AksyonTV's programs also comprised a combination of live news reports, documentaries and current affairs. Its lineup of programming draws upon TV5's own resources and its news partners. It also aired programs simulcast from Radyo5 92.3 News FM and news programs of The 5 Network. After AKTV on IBC 13 closed shop, all sports programs of AKTV and Sports5 (now ESPN5) were moved to AksyonTV. The channel also started aired foreign entertainment programs that aired on TV5 from 2017 until January 31, 2019, though it is only considered as filler to the network's programming. It was announced in early 2011 that it would launch an international channel to support AksyonTV's local presence. In July 2011, Pilipinas Global Network Ltd., a company owned by PLDT, Inc. and ABC Development Corporation (now TV5 Network Inc.) based in British Virgin Islands will oversee the operation of AksyonTV International. The news channel will be primarily accessible to viewers in the Middle East, North Africa and some parts in Europe and North America. Despite the closure of its domestic network on January 13, 2019, Aksyon TV International remains operational; airing local sports and public affairs programs from 5 Plus and Radyo5 simulcasts - now airing in One PH, a "teleradyo" domestic satellite TV channel. On March 16, 2011, ABC Development Corporation (TV5) and Nation Broadcasting Corporation (NBC) filed a complaint to the local regulator in the Philippines, the National Telecommunications Commission against Sky Cable Corporation, one of ABS-CBN Corporation subsidiaries, broadcaster of ABS-CBN and TV5’s competitor. In its complaint, ABC and NBC criticized SkyCable for its inaction to the request of the latter and subsequently non-inclusion of AksyonTV to its lineup, despite local laws instructing all cable and satellite companies operating in the Philippines to carry all free-to-air networks. Under Memorandum Circular 4-08-88 (or otherwise known as the “Must Carry Rule”), all entities in the cable and satellite businesses are required to include all free-to-air channels on its system regardless of its capabilities. SkyCable on the other hand revoke its compliance to the order due to system capacity and will conform once an additional facility is in place. On April 1, 2011, SkyCable announces the inclusion of AksyonTV on its channel lineup effective May 4, 2011 but made it earlier on April 30, four days from the planned May 4 launch. On July 2011, it was moved from Channel 61 to Channel 59 on SkyCable. DZEC-TV channel 25 is a digital flagship UHF television station of Philippine television network Net 25, owned by Eagle Broadcasting Corporation. Its studios and transmitter are located at EBC Building, #25 Central Ave., New Era, Quezon City. Net 25 broadcasts 19 hours daily from 5:00 a.m. to 12:00 midnight on digital terrestrial TV, while it airs 24 hours daily on cable and satellite providers and also live streaming providers and worldwide. Intercontinental Broadcasting Corporation (IBC) is a Philippine-based media company and VHF television network of the Government Communications Group under the Presidential Communications Operations Office (PCOO). IBC, along with sister media companies People's Television Network and Philippine Broadcasting Service, forms the media arm of the PCOO. Its studios, offices and broadcast facilities are located at the IBC 13 Compound, Lot 3-B, Capitol Hills Drive cor. Zuzuarregui Street, Barangay Matandang Balara, Diliman, Quezon City. ETC is a commercial broadcasting television network in the Philippines owned by Solar Entertainment Corporation through its subsidiary Southern Broadcasting Network. Its free-to-air broadcast is carried by SBN's flagship station DWCP-TV Channel 21 Metro Manila. The channel can also be seen nationwide in all SBN provincial TV stations. The channel is also carried by cable/satellite providers, including Sky Cable/Destiny Cable, Cablelink, Sky Direct, Cignal and SatLite, along with various provincial cable operators and through online streaming. Solar Entertainment Corporation is a Filipino media company founded and owned by the siblings of the Tieng family which also engages in property development, and distribution of imported products and generic pharmaceutical products. The TV5 News and Information, known on-air as News5 is the news and information programming division of the TV5 Network Inc.
DZIQ is a news/talk radio station serving the Mega Manila market. The station is owned by Trans-Radio Broadcasting Corporation, a subsidiary of the Philippine Daily Inquirer's Group of Companies in the Philippines. The station's studio is located at the 2nd floor, Media Resources Plaza Building, Mola cor. Pasong Tirad sts., Brgy. La Paz, Makati City, while its 50,000 watt transmitter is located at Brgy. Panghulo, Obando, Bulacan. The station broadcast 20 hours daily from 4:00 am to 12:00 midnight. DWAC-TV, channel 23, is the flagship station of Philippine all-sports and action television network ABS-CBN Sports and Action (S+A), a fully owned subsidiary of ABS-CBN Corporation. Its studios and transmitter are located at ABS-CBN Broadcasting Center Mother Ignacia cor. Sgt. Esguerra Avenue, Diliman, Quezon City. It operates Monday to Friday from 6:00 AM to 12:00 MN and Saturday to Sunday from 5:00 AM to 12:00 MN. DYET-TV, channel 21, is a television station of Philippine television network 5. Its studios and transmitter are located at TV5 Center, Capitol Road, Camp Marina, Brgy. Kalunasan, Cebu City, TV5 Cebu is the first ever UHF TV station in the Philippines after the shut-down of FEN-17 in 1991. The PBA on ESPN5 is the presentation of Philippine Basketball Association basketball games which started in the 2011-12 season. Telecasts are produced by ESPN5, the sports division of TV5 Network Inc., and aired through 5 and simulcasted through livestreaming at ESPN5's official website and YouTube channel. Also, there is a separate coverage in English commentary on PBA Rush starting July 15, 2016. Hyper was a sports and entertainment satellite and cable television channel based in Mandaluyong City. It was owned and operated by MediaQuest Holdings, Inc., a wholly owned subsidiary of the PLDT Beneficial Trust Fund through The 5 Network and ESPN 5. One Balita is the noontime news program of One PH, the 24-hour Filipino-language cable news channel of Cignal. Serving as the channel's flagship newscast, One Balita airs from Mondays to Fridays from 11:45 AM to 12:00 NN (PST). The newscast is simulcast on radio through Radyo5 92.3 News FM in Mega Manila and its provincial Radyo5 stations nationwide. One News is a 24-hour English-language news channel in the Philippines owned and operated by Cignal Digital TV, a digital cable TV service owned by Filipino businessman Manny V. Pangilinan. The news channel combines the news content of the different media companies under Pangilinan's Mediaquest Holdings, Inc. namely News5, The Philippine Star, BusinessWorld, and Bloomberg TV Philippines. It also has content from Probe Productions and PhilStar TV, the TV programming arm of The Philippine Star. It was launched on May 2018, on Channel 8 (SD) and Channel 250 (HD) on Cignal TV. One News is one of the first Cignal channels launched under the One branding, along with the sports channel One Sports and Filipino-language news channel One PH. This is a list of events taking place in 2019 related to Philippine television. One PH is a Filipino teleradyo satellite channel based in Mandaluyong City. It is owned and operated by MediaQuest Holdings, Inc., a wholly owned subsidiary of 5 and Nation Broadcasting Corporation. It was launched on February 18, 2019 on Cignal Channel 6. One PH is the third Cignal channel launched under the One branding, along with the English-language news channel One News and sports channel One Sports. 1 2 "SPORTS AND MORE: AksyonTV redefines action as "5 Plus"". News5. 14 December 2018. Retrieved 30 December 2018. ↑ Mendez, Christina (May 30, 2018). "Cignal TV launches One News". The Philippine Star . Retrieved 10 January 2019. ↑ "TV5 to expand sports coverage with 5 Plus". ESPN5 . 10 January 2019. Retrieved 10 January 2019. ↑ "Main Home". News5 - InterAksyon. Retrieved 12 August 2017. ↑ Santiago, Erwin. "(UPDATED) TV5 files complaint against SkyCable for its 'continued refusal' to include Aksyon TV in its channel lineup". Pep.ph. Retrieved 12 August 2017. 3Partnership agreement with ESPN Inc.